Creating Your Website: Platforms, Frameworks, Themes ~ Oh My! Now that you have your domain name and hosting all set up, you might be wondering what the best way to put the website up actually is. There is no easy answer for that. At the end of the day, you want to do what you’re comfortable doing, using a system that you are comfortable using. There are several different platforms out there that you can use to build a website… old school HTML, Drupal, Joomla, WordPress, and a whole laundry list of other platforms and systems with varying degrees of difficulty and accessibility. For our purposes today and the discussion of themes and plugins we’re going to be talking about using self-hosted WordPress on your own domain name for managing your website and pages. If you want to go with something else to set up your website, or if you’re already using something else, that is completely okay. Once we get everyone set up we’re going to be digging into the content that goes on your pages, and that’s really more the focus of this program; getting your pages up, having clients find those page, and serving your market in the best ways possible with your website. You can use WordPress “out of the box, as is” so a framework or “premium theme” isn’t entirely necessary, but I’ve found them to be helpful and easy to use over the last few years. I like to think of WordPress as the foundation for the house and adding a framework as the supporting architecture for the walls and rooms. There are a handful of popular and well-coded frameworks to add on top of WordPress for more functionality, better SEO results, and all sorts of other things. These additional frameworks are not free, but they are valuable and can come in handy if you want ultimate functionality. The two most commonly used frameworks to use in WordPress are Genesis and Thesis. There is plenty of debate online about which is better, which has more this or that, which has prettier themes, and both have raving fans rallying for them. In my opinion, it doesn’t matter which one you use, as long as you’re comfortable using it. The framework is a tool just like any other and if you’re not comfortable with it, then it’s not going to do you much good. Lately, Divi has been in the running for most popular as well. It’s sort of a middle ground between theme and framework. It doesn’t require child themes like Genesis and Thesis do, but it is packed with features and visual editing tools. I’ll be honest with you; I am a Genesis fan girl. I find it easier to use than Thesis, easier to customize, I like the child themes that come with it for design appeal, and I like the fact that a developer’s license is included so I can use it for client projects. You’ll also find plenty of Genesis-specific plugins approved by WordPress in the plugin database for even more customization options. That said, I also like a lot of what I’ve seen with Divi from Elegant Themes. It has a lot of features and I have several clients using it and loving it. Again, what you use is mostly preference and level of comfort. I recommend checking out some of the demos and examples from Studio Press (Genesis), Elegant Themes (Divi), and Thesis to see what strikes you, what layouts you like, and what features you’d be comfortable playing around with. 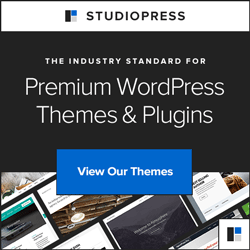 With all the free themes available, it might be hard to imagine a situation in which you’d be willing to spend your budget on premium theme. Certainly there are some beautifully designed free themes available, and even a beginner can tweak a theme to make it unique with very little experience or knowledge of CSS or HTML. Free themes aren’t always really free. They all have a price tag; it just isn’t expressed in dollars and cents. Instead, the price of a free theme is often paid in backlinks or lack of quality in the code. Often when you see WordPress themes offered for free, they almost always contain links in the footer, sidebar, or some other part of the design that you are required – according to the license – to keep intact while using the theme. Sometimes those links are just web designers trying to get their name out there, but sometimes they’re linking to less favorable topics. WordPress has started to filter these out over the years and you’ll find much better quality free themes in the official WordPress Free Theme Directory, so if you want to go with a free theme I would recommend looking there. Just double check the licensing, and make sure the site being linked to in the footer is a site you won’t mind linking out to. Another price you might pay when you use a free theme from the web is having poor coding on the back end, glitches, bugs, and little or no support when updates happen. If WordPress issues an update and the theme doesn’t work with that update, the free theme provider isn’t required to fix the problem, so you may find yourself with a broken website and scrambling to find a new theme. Using something premium usually means you’re going to have ongoing support, frequent updates, and someone you can reach out to if something goes wrong. That peace of mind is usually worth the cost of the premium theme and/or framework. 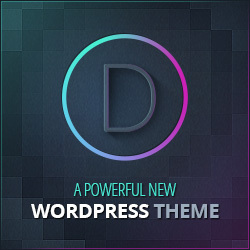 You can also just use the default themes that come pre-installed with WordPress. They’re free, reasonably easy to customize, and since they come directly from the WordPress team you know you won’t have any bad code or unfavorable links included, and they’ll definitely be updating when new versions of WordPress come out. There’s a little wiggle room between free and premium frameworks and themes for WordPress – Freemium. “Freemium” themes usually have features and functions that standard free WordPress themes don’t have and they’re often created by designers and developers who want to contribute to the WordPress community, as opposed to random freebie themes created by people who just want a footer link to their random site about blue widgets. If you want to use a free theme for now and don’t really like the WordPress default themes or something from the main directory, freemium might be a good way to go. The theme you use is mostly just a matter of preference. I don’t want this to turn into a pile of technical details for you, so I’m going to tell you what I currently use and what I generally recommend. I use Genesis framework with child themes on all of my websites – including VA Helper. Then I add a handful of plugins and a customized header. If you’re going to go for a free theme, I recommend finding something that has the features and layout style that you’re looking for and just be mindful of any links in the footers and sidebars. You can easily use whatever theme you prefer and customize it to your liking, or hire another VA to help you with it if that’s not your thing. Do what works best for you and what fits your budget right now. The goal here is to get a website up and running so that you can attract clients and make contacts. It doesn’t have to be perfect, it just needs to be functional and provide information. One of the absolute best things about using WordPress as your foundation is that it’s incredibly easy to change or to upgrade things later on. You can change the template, the colors, the layouts, and all the other information will stay put so that you don’t have to rebuild. In the next section we’re going to look at some plugins to add additional features and security to your website. Move on to Plugins & Additional Security Features – or – Go back to the main directory page. If you have any questions or feel stuck on anything, please do drop a comment below or send an email so we can get you unstuck and moving forward with your new services website.